Do you remember when cricket was normal? When captains didn’t get fired, and prime ministers did not publicly shame their own players. When balls remained unharmed and England were forces in Test cricket? When the World Cup had 14 teams, and I didn’t have to try to fit 17 million stories into each week’s dump? I’m not complaining, don’t get me wrong, I live for this stuff. If, for some reason, you have been living under some sort of cricketing rock these last few days, and this is the first article you have chanced across in your search for answers, what you need to know is that AUSTRALIANS ARE BLOODY CHEATERS! No, but seriously. 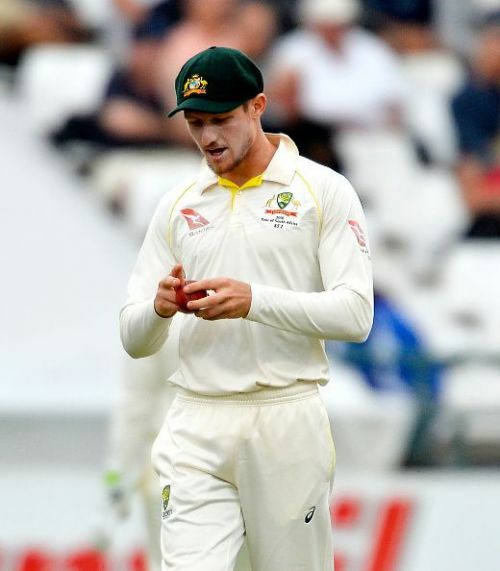 On the fourth day of the third Test of Australia’s tour to South Africa, Cameron Bancroft was seen trying to scrape the ball with a piece of sandpaper. While the umpires didn’t consider it fit to change the ball, in the subsequent press conference, captain Steve Smith admitted that desperation led the Australian ‘leadership group’ to contrive to tamper the ball. The issue snowballed out of control, once again depicting cricket’s importance in Australia’s moral fabric itself. The most damning indictment is by Malcolm Turnbull, Australia’s Prime Minister, who publicly admonished the players for their actions. Captain Smith and Vice-captain Warner were stood down for the Test by CA and banned for a game by the ICC, as Tim Paine took the reigns. It is still unclear what is to happen to Warner, coach Darren Lehmann and Smith, but the future looks glib for Team Australia for now. Whew. That was a mouthful. It’s just disgusting, frankly. The public reaction has been enormous, and rightfully so. Every media house and blogger with a laptop and an opinion has given their hot take; anger and disappointment are a currency this new age of cricket. Australia, for years now, has lived and died by the ‘hard, but fair’ moniker, a way of life that almost embodies the ‘working class ethics’ Australia is founded upon. It is for this reason that cheating, especially by the so-called “second most important person in Australia”, is against every fiber of Australian, and for that matter, cricketing decency. And while it may seem like a minor issue, whatever your religion tells you about ball-tampering and its ethicalities, it’s still something that makes one recoil in disgust. What it means for the game long term, unfortunately, is a lack of sponsorship dollars in the CA account, a general distrust of cricketers and a serious besmirching of one of the oldest offices in Australia: its Test cricket captain. But for now, sit back, grab a tub of popcorn, and watch the saga unfold. While the press has been tucking in their napkins and licking their lips at the carnage that is going on in the dressing room next door, the South African changing room is ecstatic. In a series that would test their mettle against a severely good bowling lineup, they have come out trumps. And how. While their opponent’s world came crashing down, they help their line. And Morne Morkel destroyed. Often called a bowler who didn’t live up to his talents, Morne’s 9-fer in Cape Town opened up avenues of what-ifs. In his second-last Test for South Africa, the 85-Test veteran was only about to play because of an injury to the rookie pacer, Lungi Ngidi. And he made it count. Hitting the disconcerting length he is famous for, the pacer ripped out Steve Smith, Usman Khawaja, Shaun Marsh and Nathan Lyon in the first innings, and Smith, Josh Hazlewood, Pat Cummins, Mitchell Starc and Mitchell Marsh in the second dig. This pushed him past 300 Test wicket mark, just the 5th South African to do it. From all of us here at The Dump, well done Morne! In an almost miraculous victory, considering it needed a long set of permutations to occur, the Afghan team continued their spectacular rise to the tippy-top of cricket. Having been set 205 to win the event, the Afghan’s ambled home with 7 wickets in the bank. But the real focus of the tournament, which has been incredibly well contested and played in great spirit, is on the ICC. With Chief Executive David Richardson in the audience, Man of the Tournament and Zimbabwe all-rounder Sikandar Raza gave a passionate speech outlining the trials and tribulations of a fringe cricket nation. No DRS, limited televising and most importantly, a 10 team World Cup. What exactly is the ICC thinking? Myopia and short-term goals are one thing, but in Nepal, Zimbabwe, Scotland, Ireland, the UAE and PNG, there are countries where cricket is liked and followed, but not embraced as a national obsession. Making these countries ‘cricket-mad’ (by allowing them to participate in a World Cup) would not only spread the word of our great game but also bring in millions upon millions of new viewers. And the ICC likes that, doesn’t it? England is bad at cricket, but are we really surprised? Playing booming drives is not always a good idea, Joe. In the first Test against New Zealand, England capitulated to 58 all out, batting like they had never seen a ball swing before. It was embarrassing, shambolic and just generally very poor. Looking to smash the cover off anything remotely full on a wicket that was nowhere close to some of the juicier early-season English tracks, they lost nine wickets from 23 runs until they were saved some (but not that many) blushes by a 33* by Craig Overton. New Zealand responded in New Zealand style, behaving totally rationally to this situation, and calmly went on to score 427/8d in their first innings, batting like, it beggars belief to say this, humans. 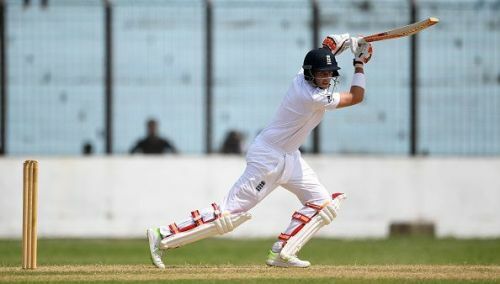 Williamson and Henry Nichols scored tons and in their second innings, England scored 320, taking a rain-drenched affair to a conclusion in the last session. While England showed glimpses of a backbone in their second knock, it needs to be said that England’s struggles in Test cricket are no longer bad luck or anomalies. There has been, for far too long, a culture of selecting batsmen with poor techniques, right-hand fast medium bowlers and as a result, looking completely lost overseas, where that just does not work. Mark Stoneman has a first-class average of 35. Is it really a surprise that he averages 27 in Tests? Malan averages 37 in FC cricket, and 31 in Tests. Moeen Ali: 37 and 32. England keep doing the same thing over and over again expecting it to magically work, but that’s just not cricket functions. Emphasising white-ball cricket is all well and good, but surely Andrew Strauss and everyone else involved knew there would be red-ball repercussions. And while this new scouting system may help find talent for counties and England, surely a multi-billion dollar board can figure out what a bunch of fans and laptops can see with the naked eye: packing your team with five allrounders, most of whom are just about average at the individual crafts, simply doesn’t work. Kohli signs up for Surrey County Cricket Club for part of the county championship season; India looking better and better to beat England in 2019. Islamabad United win the PSL, as allegedly “90% of Pakistan” watches the game. India knocked out of women’s tri-series at home, but BCCI set to increase fixture list. Queensland set to win the Sheffield Shield, as rain-hit final meaders towards draw. After being dropped for the Ashes, despite a pretty solid Test career, Matthew Renshaw went back to Shield cricket and scored a mountain of first-class runs. And then the cricketing world went mad. Bancroft, Smith, and Warner look unlikely to play for a while, and there’s a good chance he’ll be jettisoned to South Africa at the conclusion of the Shield final(Tuesday), to play the fourth Test. Just, the whole country. You lost. Lost your captain, lost the Test, and possibly most importantly, your moral high ground. Whether this means a stunning revival by the Leader of the New World, and generally nice guy George Bailey will lead a revival of epic proportions, or whether it means that Australia will lose its edge and cease to be the hard place it’s famous for being, we can all sleep tonight knowing that the people who terrorised cricket for decades are finally losers.